« Release Day — Falling for You!!! 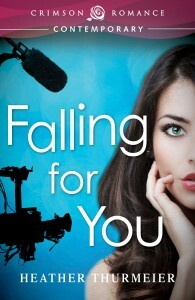 First of all, thank you to everyone who has already picked up their copy of Falling for You yesterday. You’ve all helped to make released day so awesome! If you haven’t bought it yet, please consider picking up your copy today! I’d love to move up the ranks at Amazon, and I can’t do that without your help! Second, I’m over at The Ladies in Red blog today chatting about reality TV and my favorite shows. Stop by and chat with me! Third… I’m also over at Kristina Knight’s blog and she’s asking my 5 simply questions. Come by and show Kristina some love on her blog!! Finally, yesterday I was over at Jason Bourne’s blog answering some fantastic writing related questions!